The best place to buy regional Kit Kats in Tokyo is at the Shokoku Gotochi Plaza. 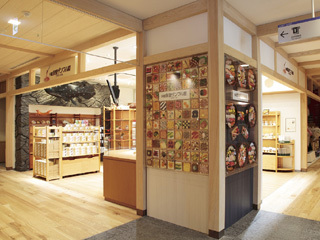 The shop is in the basement mall of Tokyo Station near the Tokyo Ramen Street, across the hallway from Rokurinsha ramen shop. Kit Kat in Japan makes regional flavors that are usually only sold in that region. The Shokoku Gotochi Plaza features regional food items from throughout Japan, which is why the shop also sells these regional Kit Kats. Some examples are wasabi, beni imo (purple sweet potato), azuki, mattcha, hōjicha (roasted green tea), strawberry, and more. Shop hours are listed as 9 a.m. to 9 p.m., seven days a week. 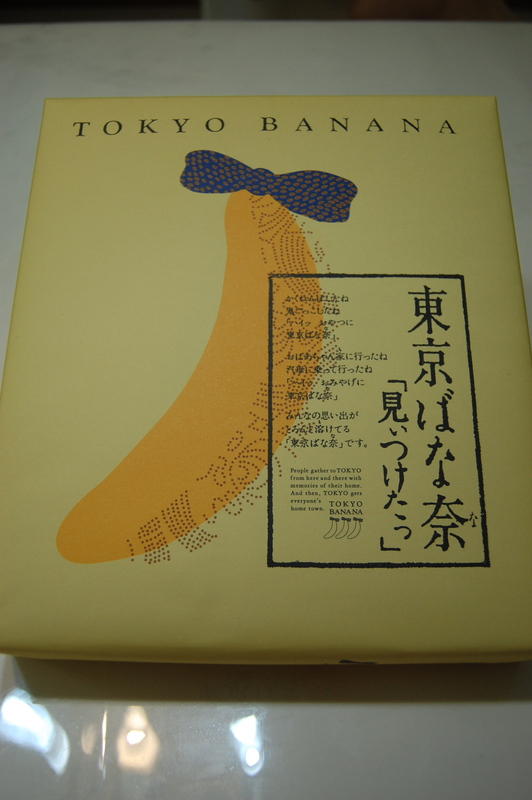 Omiyage (oh-me-yah-gay) are gifts that are given to friends, family, and work colleagues. 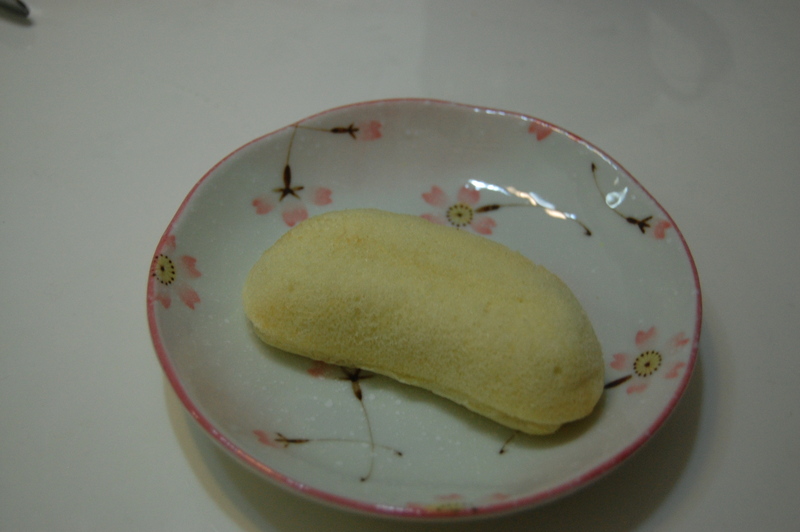 Omiyage are often associated with a region or a particular ingredient. The whole culture of omiyage is complicated. 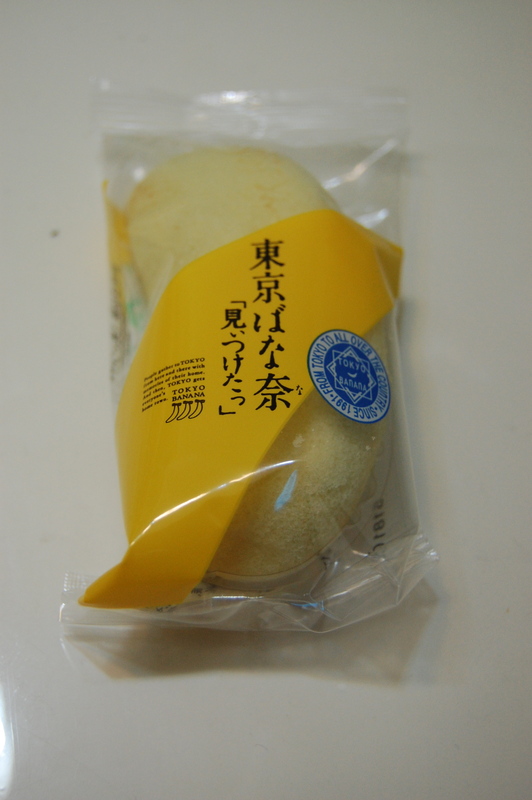 It is often expected that whenever you take a trip that you will return with omiyage. As an office worker, by going on vacation or on a business trip you are inconveniencing your colleagues as they cover for your absence. A small gift from your travels is a nice way to thank them for their efforts. 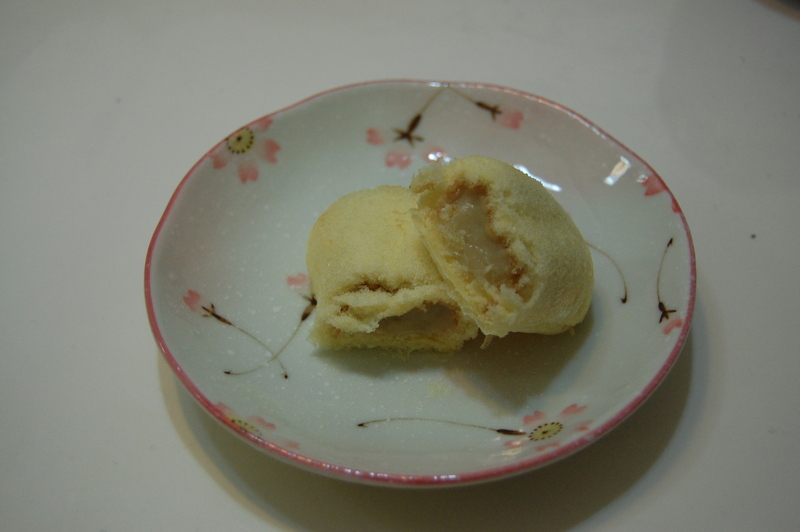 But, the obligation of having to bring back omiyage can be frustrating. Decisions not only on what to buy, but for who to buy for, and more importantly, how much money to spend on all of this. It can take some of the fun away from your holidays. There are rules that help define all of this, for example, not spending too much. Bringing back omiyage can also be loads of fun. Coming across something unique that you know a dear friend will appreciate. Or you try something new that is so delicious that you just have to share it. Kamakura is a lovely beachside town south of Tokyo. 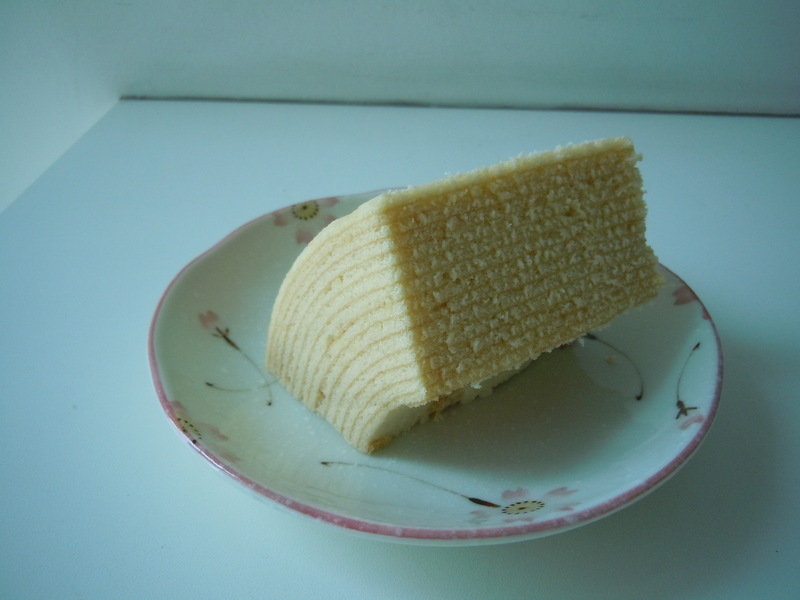 One of its popular omiyage is the Hato Sable. 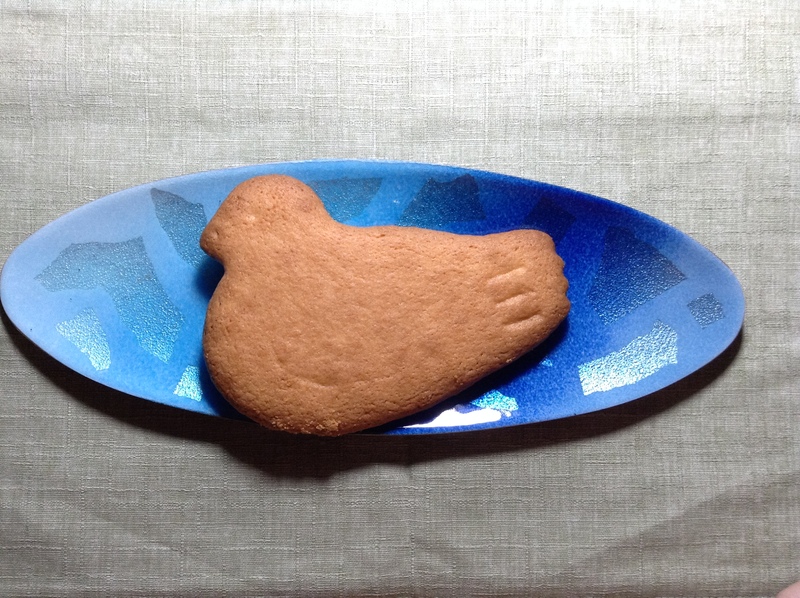 Sablé are buttery sugar cookies, here in the shape of a pigeon (hato). 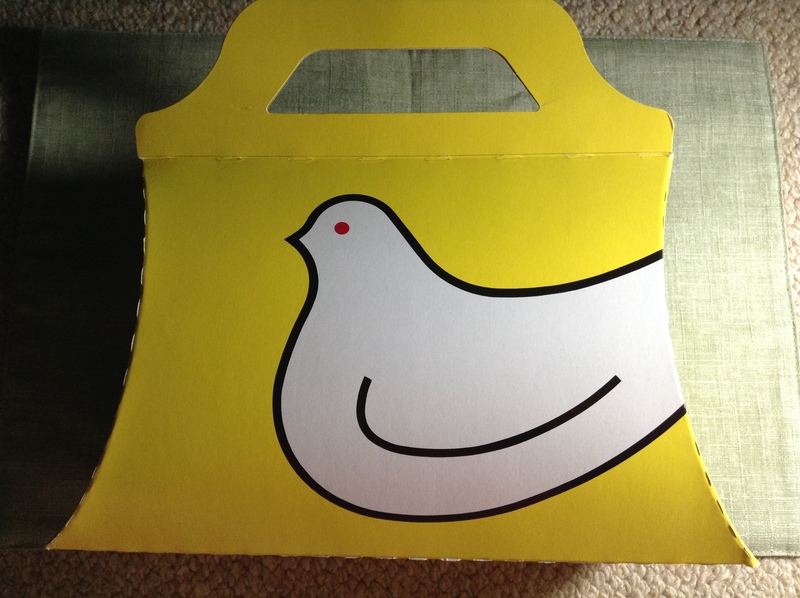 Japanese love presentation and here is the packaging for five cookies, a simple paper box with handles. It is 540 JPY for a package of five, or about $5 USD. 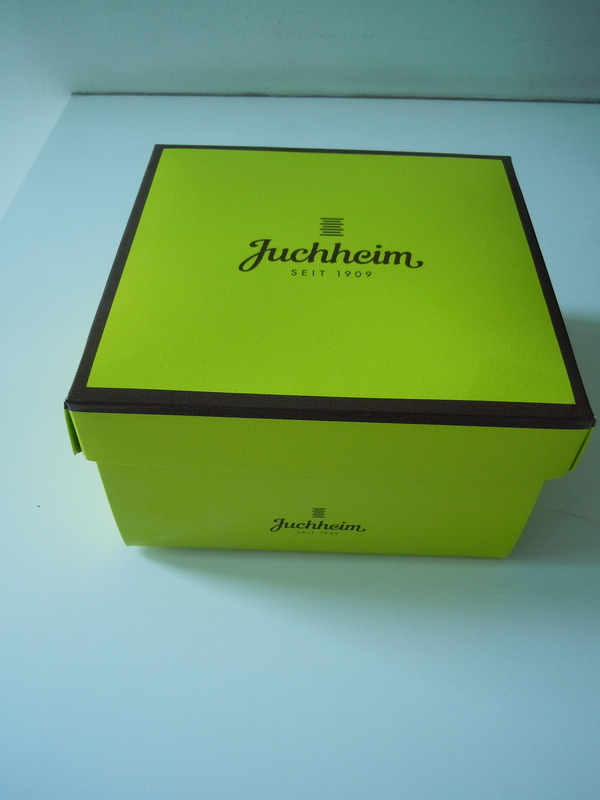 Larger quantities are sold in tin boxes. The Hato Sable originated in the Meiji period, in 1894. At the time some of the key ingredients for sablé were very expensive and not found in most homes, making these a treat as a gift. The company, Toshimaya, is now a fourth generation shop and you’ll find these in many department stores throughout the country. 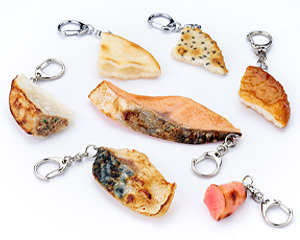 Many depachika sell popular omiyage from around the country. So even if you have returned from your trip and you realize you have forgotten someone, you might be able to pick up a gift from your local department store. 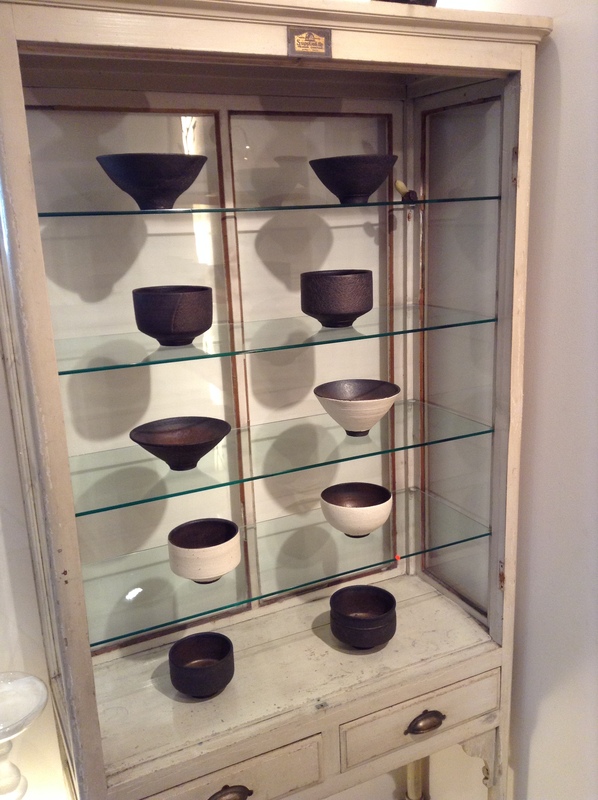 Asato Ikeda-san’s gorgeous pottery. I first came across these at Den in Jimbocho. Saké tastes better when served in something this beautiful. Bob Tobin and Hitoshi Ohashi of the Tobin Ohashi Gallery first introduced me to Kenshin Sato-san of Kenshin Utsuwa. 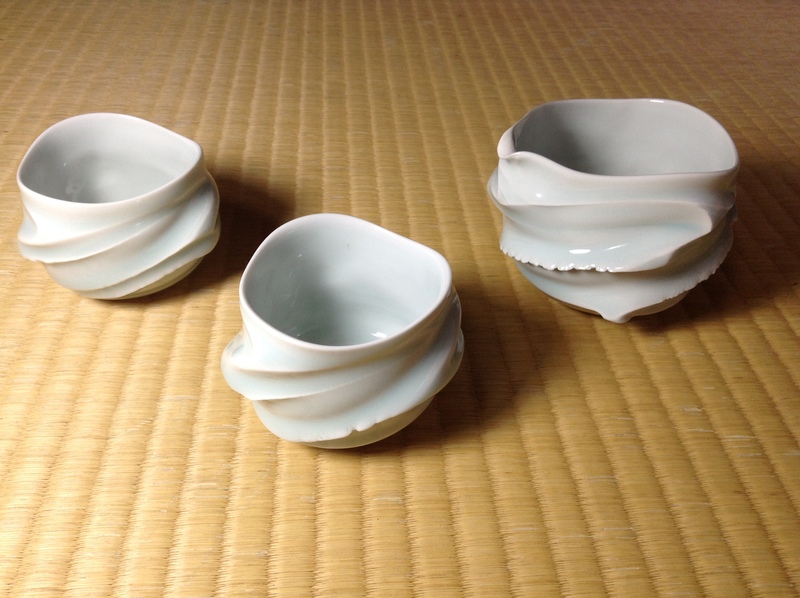 When I asked chef Zaiyu Hasegawa-san of Den about these cups he too said that Kenshin Utsuwa would have these. I have been following Kenshin Utsuwa on Facebook as he hosts many special events around the city. I contacted Sato-san and placed an order for the cups. Here I am picking up the cups and pourer. What I am holding is not what I bought, but a piece he had in his gallery. Kenshin Utsuwa is a small, but well-stocked gallery in between Shibuya and Omotesando. I got lost finding it, so be sure to have a good map. 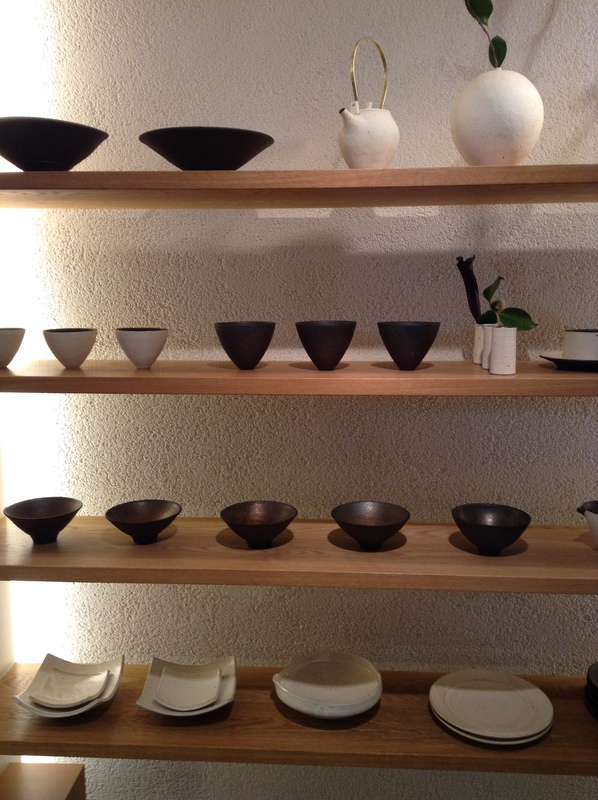 This day there were several gorgeous pieces from a potter in Hokkaido. If you want to invest in some handcrafted pottery, be sure to visit Kenshin Utsuwa while in Tokyo. First though, call ahead and make sure the shop is open. As he hosts special showings throughout the city he often closes the gallery. The Kenshin Utsuwa Facebook page always is updated with his current shows. It was the first time in my life that I held a cup in my hand and immediately fell in love with it. The light sky blue color, the rough and smooth texture that my fingers fell into, and the taste of the saké while holding something so beautiful. I couldn’t put it down. 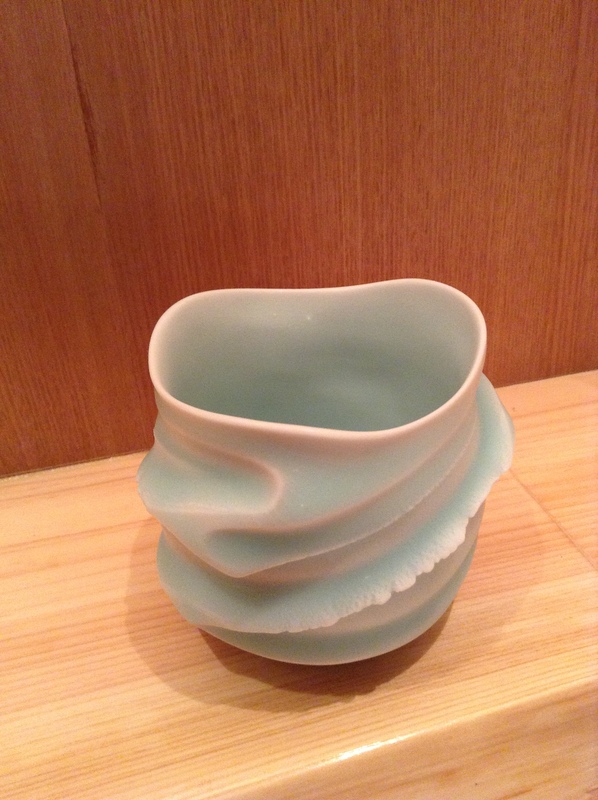 I first held Asato Ikeda’s ceramic cup at Den in Jimbocho, chef Zaiyu Hasegawa’s brilliant restaurant. I thought someday I would invest in some of Ikeda-san’s pieces for myself. Even took a picture of the cup (photo above) so that I could remember it. And then, a few months later, Ikeda-san and his works were on television. Once more my heartstrings were pulled and my motivation to bring his craftsmanship into our home became a priority. I did some searching online in Japanese and quickly lost hope. What few sites that did come up with his pieces were all sold out. I then reached out to Kenshin Sato of Kenshin Utsuwa. Bob Tobin and Hitoshi Ohashi of the Tobin Ohashi Gallery first introduced me to Sato-san last spring. I went to one of his special events at Ginza Mitsukoshi and we exchanged business cards. This summer, while at Den, chef Hasegawa told me that Kenshin Utsuwa sells many pieces that are used at his restaurant, including Ikeda-san’s. I follow Kenshin Utsuwa on Facebook and reached out to him in Japanese in December. I sent him the photo of the cup from Den and asked him if he could find me some pieces. Just last week I got the e-mail telling me that I could stop by his shop this week. It’s a beautiful shop that is worth visiting if you are in Shibuya or Omotesando as it is just between the two. Just call ahead as he closes the shop if does special events around the city. Welcome home! My birthday present from me to me. Two small guinomi and a tokkuri with a lip for pouring sake or shochu. 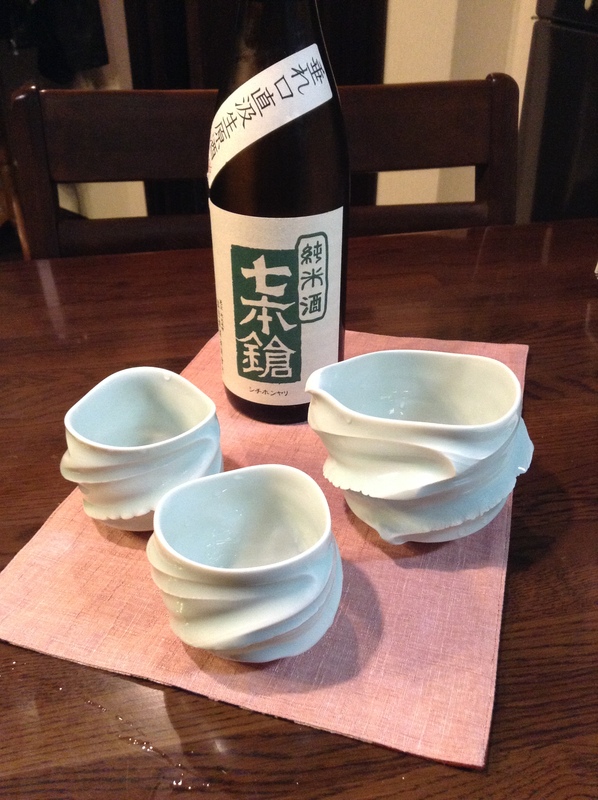 We christened the cups with Shichihonyari which we bought at our new favorite sake shop in town, Oboro Saketen in Shinbashi. The owner of Oboro Saketen, Okuma-san, studied at university for two years in Minnesota and speaks English. 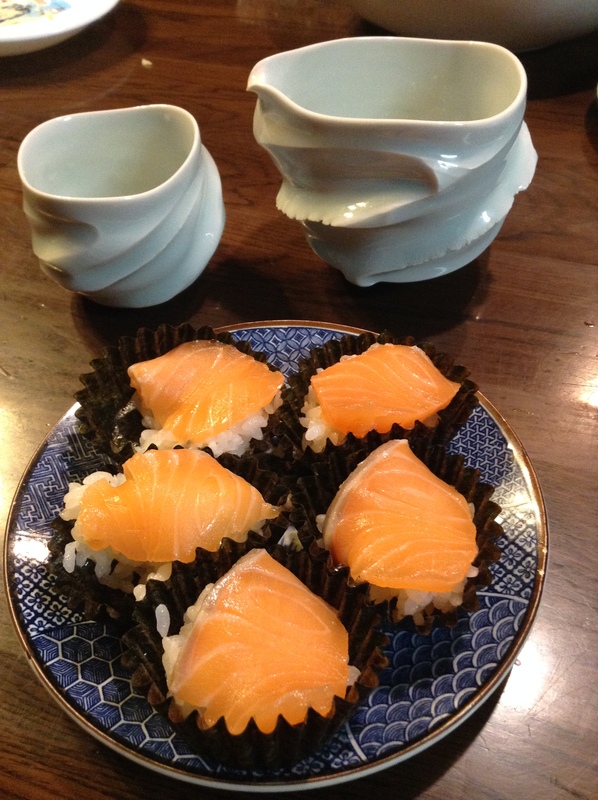 We love these nori cups for bite-size sushi that we picked up at Tsukiji Market. A small celebration to welcome these pieces to our home. I am already looking forward to using these tomorrow. I have enjoyed the journey. Holding something and wanting it, thinking of someday owning a piece of Ikeda-san’s artwork, and the help of friends to help make my little dream come true.